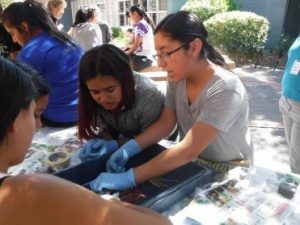 A key component in AAUW-LPD’s STEM outreach program is the Tech Trek, summer camp, a week-long, hands-on science & math camp for girls entering the 8th grade. 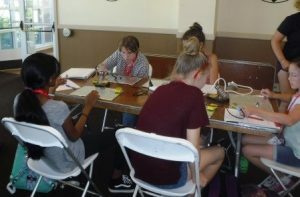 The first Tech Trek camp was held in 1998, on the Stanford Campus; AAUW-CA soon expanded the program to other college and university campuses throughout California. Today, there are 22 camps nationwide, in 10 states, including 10 camps on 8 different campuses in CA. 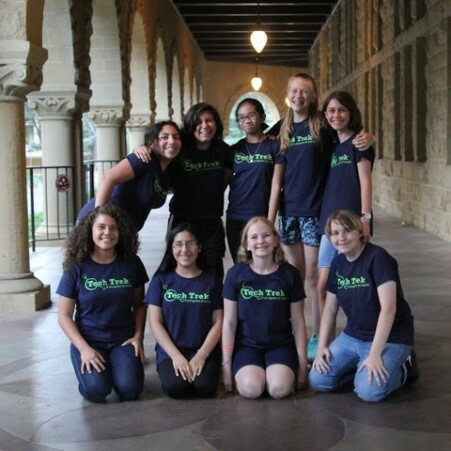 Tech Trek is an all-scholarship, STEM-focused camp designed to develop girls’ interest and excitement in science, technology, engineering, and math, as well as to increase their self-confidence. It features hands-on activities & field trips in math, science, engineering and technology. Instructors and guest speakers are local STEM professionals, from companies such as Pixar and VMWare. 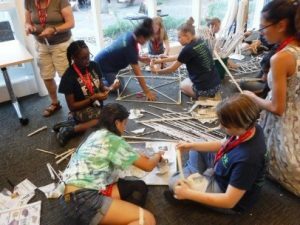 Campers have the opportunity to meet and learn from many successful women in STEM careers. We have an active Tech Trek committee which distributes information about Tech Trek to local public middle schools to solicit nominees. Each of the 10 Tri-Valley public middle schools is allowed up to 4 nominees. The committee conducts interviews with all nominated girls and selects campers. Pre-camp orientation, as well as post-camp presentations and follow-up activities, allow Branch members to meet the girl attendees & hear about their experiences. In addition, Branch members are encouraged to volunteer at camp. A variety of opportunities exist, with commitments that range from a few hours to spending the week as a Dorm Mom. For more information on volunteer opportunities at a future camp, contact LPDTechTrek@gmail.com. It’s easy to donate: checks should be made out to “AAUW-CA SPF”, with “LPD Camp Curie” in the memo line. Mail checks to: AAUW-LPD, Tech Trek, P.O. Box 661, Livermore CA 94551. 100% of all donations go to sending girls from Livermore, Pleasanton, and Dublin to camp are fully tax-deductible. Donations are welcome year-round from anyone–members and non-members alike! LLNL employees and retirees can also donate to AAUW-LPD Tech Trek through the Home Campaign, which supports local non-profits. Do you work for a company, or belong to an organization, that supports STEM Education in the community? Please let us know how we can apply for a grant! Email Tech Trek at LPDTechTrek@gmail.com.